On January 23rd at the Troxy in London, Whizz Education were announced as winners of the ‘Collaboration with a School’ award at the BETT Awards 2019, beating nine other prestigious finalists in their category. This marks our third BETT Award in recent years, and comes at a time of unprecedented interest in the way we approach the delivery of measurable learning gains. 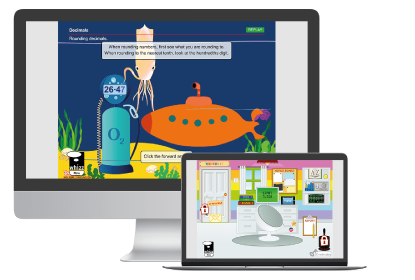 Our virtual online tutor, Maths-Whizz, is available in five languages – English, Russian, Spanish, Thai and Kiswahili – and has been adapted to multiple curricula. Educators are supported by Whizz Education teams in London, Seattle, Nairobi and Dubai as well as our partners in Russia, Mexico, Thailand and New Zealand, enabling communities around the world to reach their full potential through personalised learning. Project iMlango aims to deliver transformational education outcomes to 150,000 students, including 55,000 marginalised girls in 205 schools in Kenya, by improving learning gains in maths, literacy and life skills. Whizz Education provides personalised online tutoring, digital learning content, and in collaboration with our partners, delivers teacher training and capacity building to deploy ICT to achieve learning outcomes.